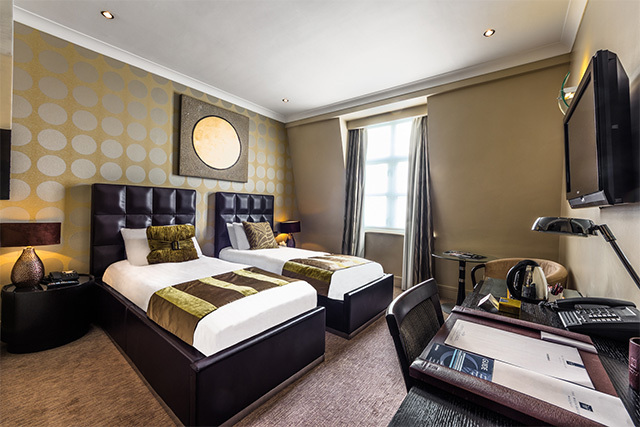 Privately owned since 1997, all 178 bedrooms and suites at our Mayfair hotel have been recently refurbished and offer a great range of spacious luxury Mayfair accommodation to suit both business and leisure travellers. 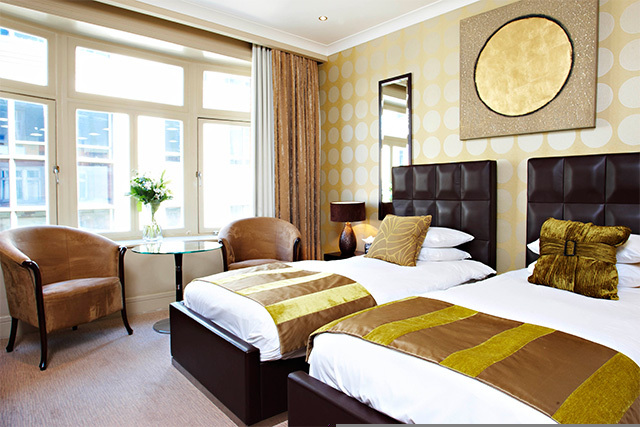 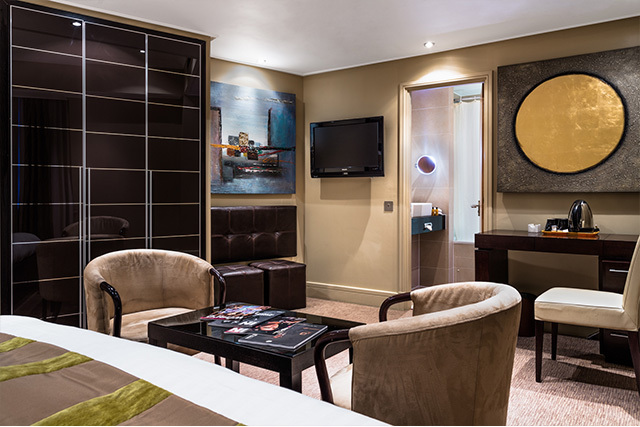 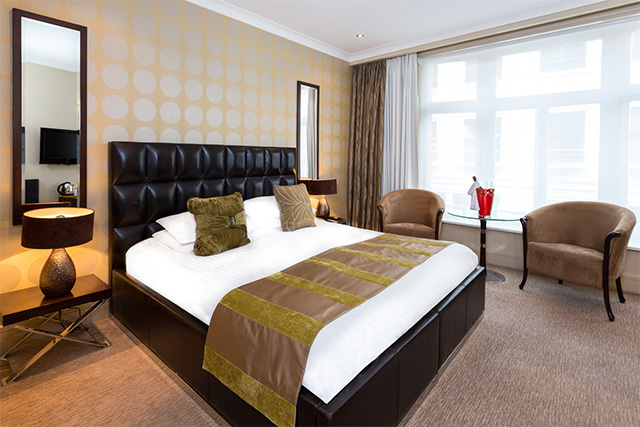 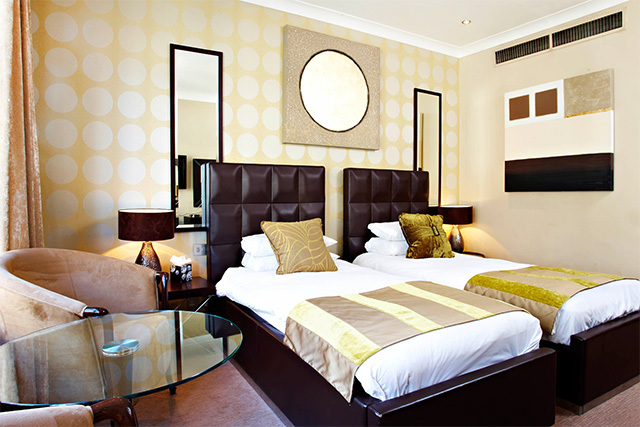 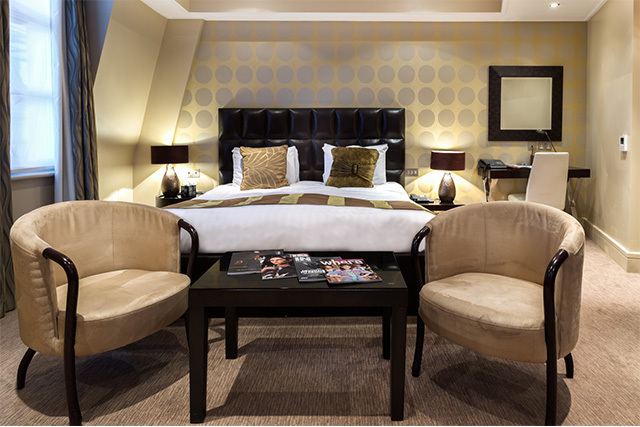 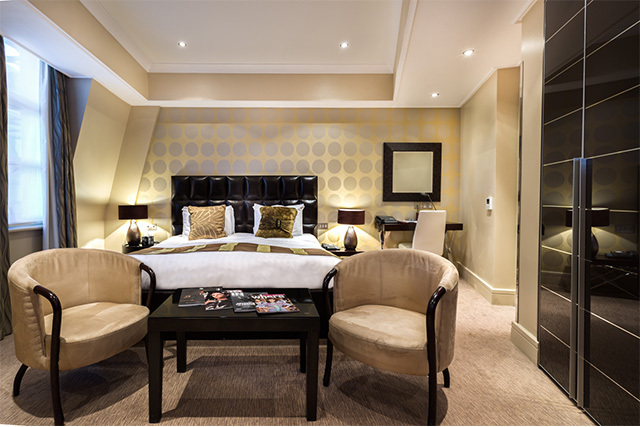 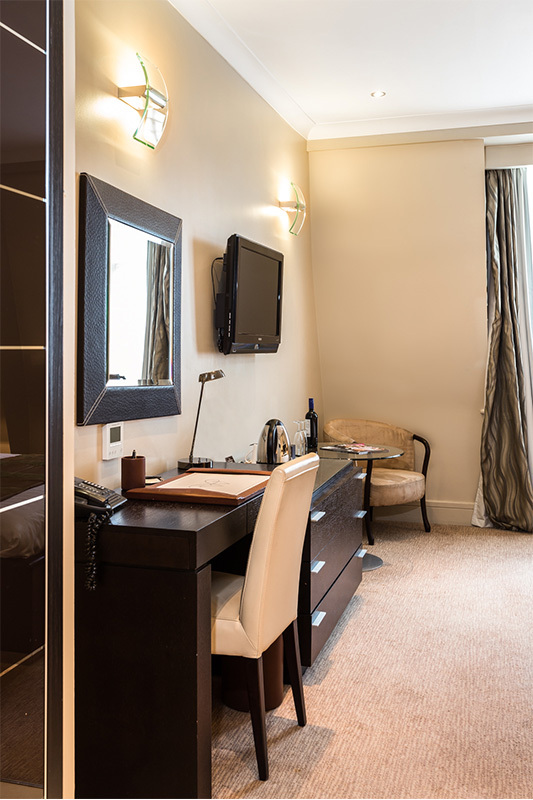 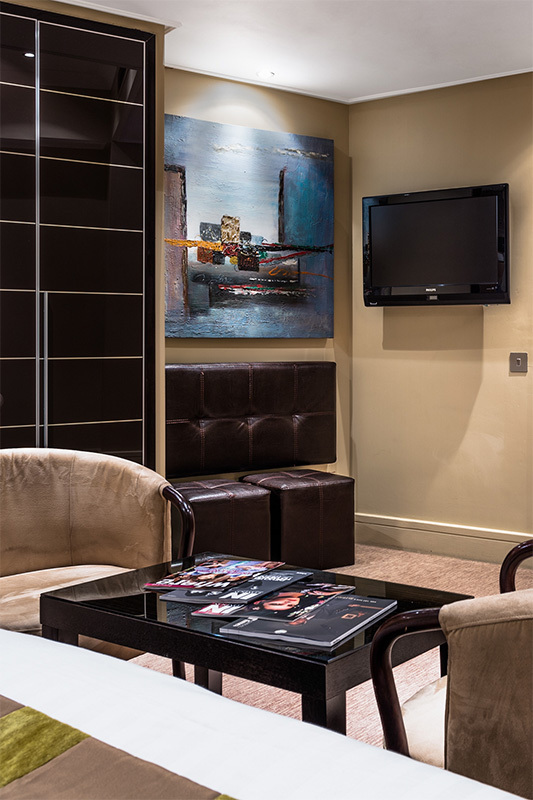 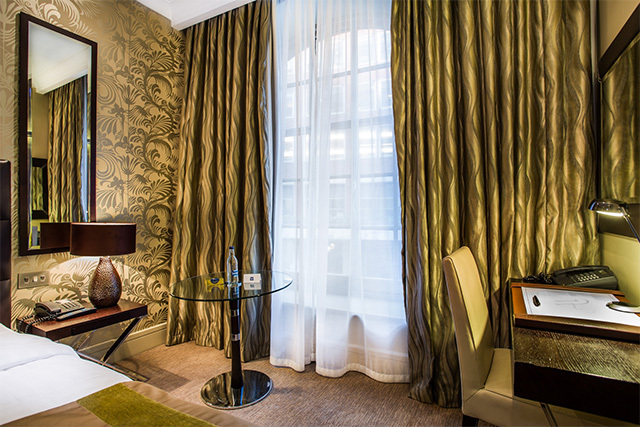 Choose the perfect room or suite from our accommodation in the heart of Mayfair, London. 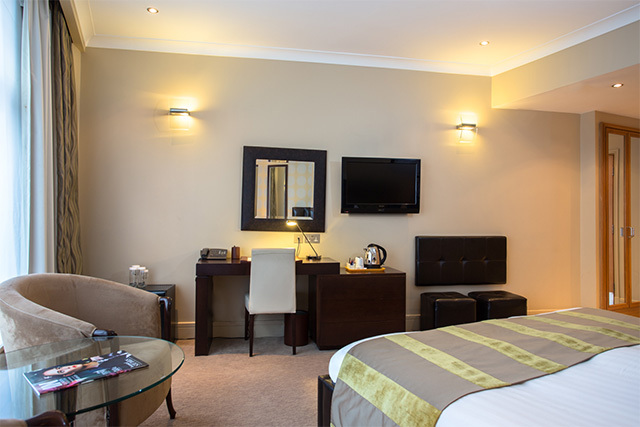 Our Classic Double rooms offer one queen size bed and are decorated in warm earth colours with modern, sleek dark wood furniture. 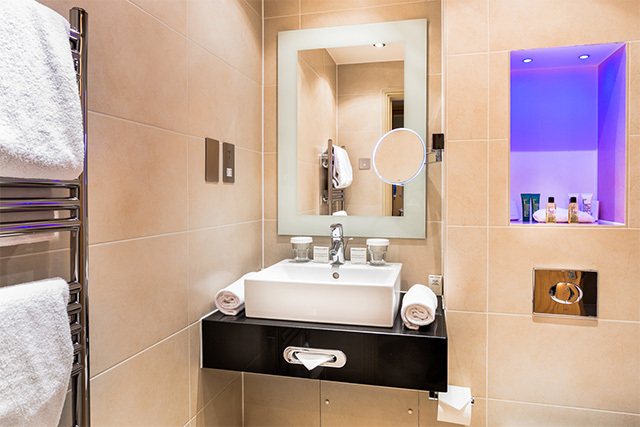 Bathrooms are new, with baths and powerful showers, mist free mirrors and large modern porcelain tiles. 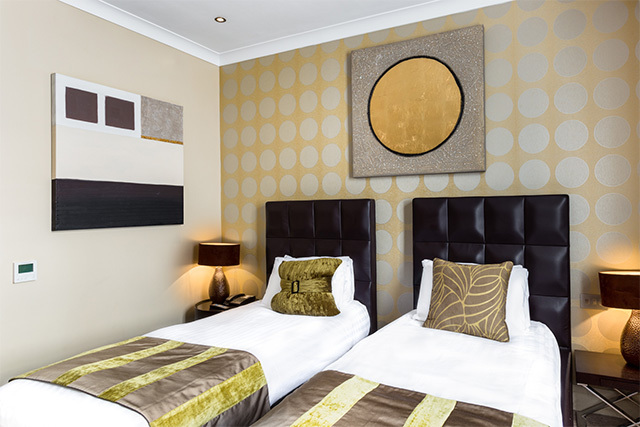 Our Classic Twin rooms offer two single beds and are decorated in warm earth colours with modern, sleek dark wood furniture. 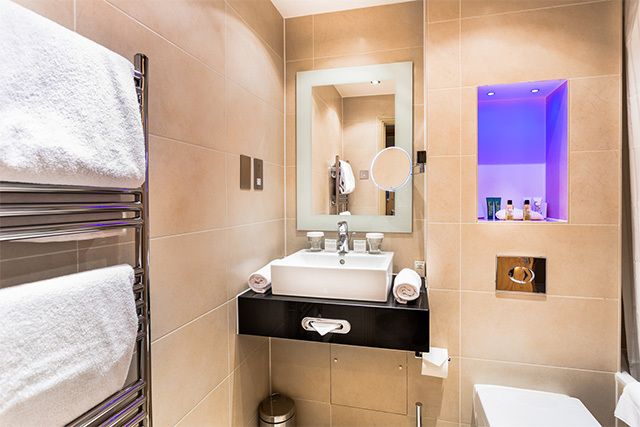 Bathrooms are new, with baths and powerful showers, mist free mirrors and large modern porcelain tiles. 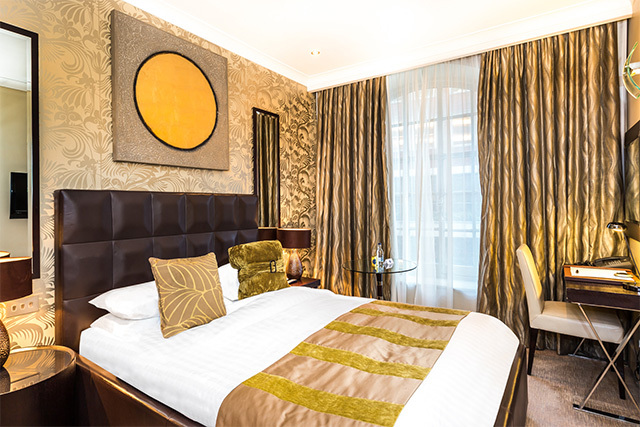 Superior rooms have either one king size bed or two single beds and are slightly larger than the Classic rooms to incorporate the larger bed type. 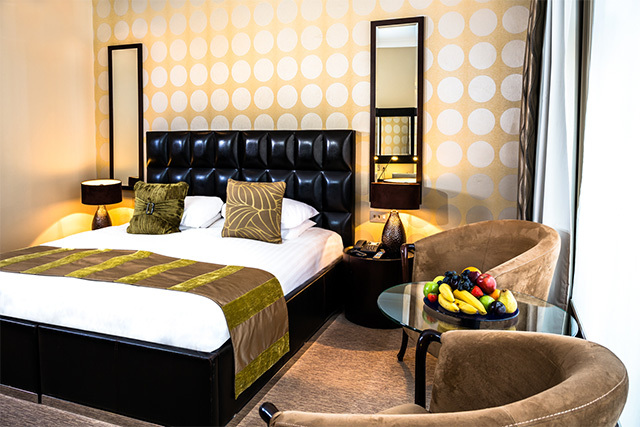 They still feature the same modern, sleek dark wood furniture and luxury leather beds and the beautifully designed bathrooms with baths, power showers and steam free mirrors. 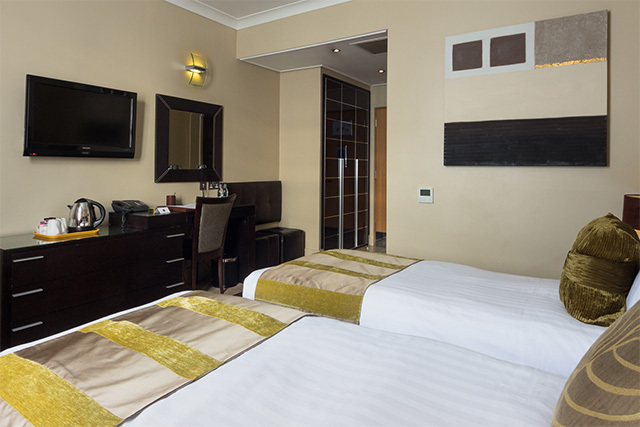 Larger again than the Superior Rooms, the Deluxe double rooms have a king size bed and all the features of the other room types. 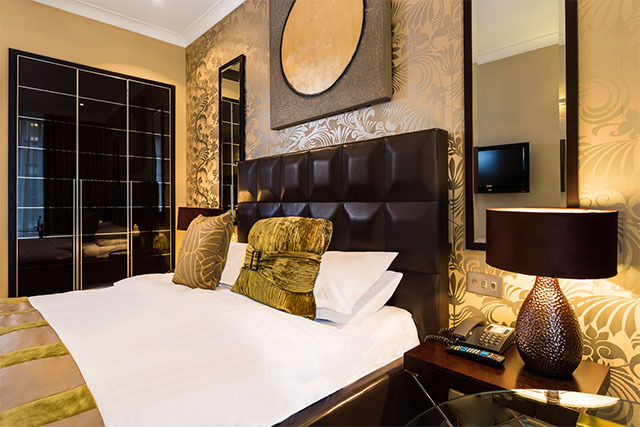 The style of these rooms varies from cool smart grey tones with traditional marble bathrooms to the warm earth colours of the other rooms with the same sleek modern porcelain tiled bathrooms. 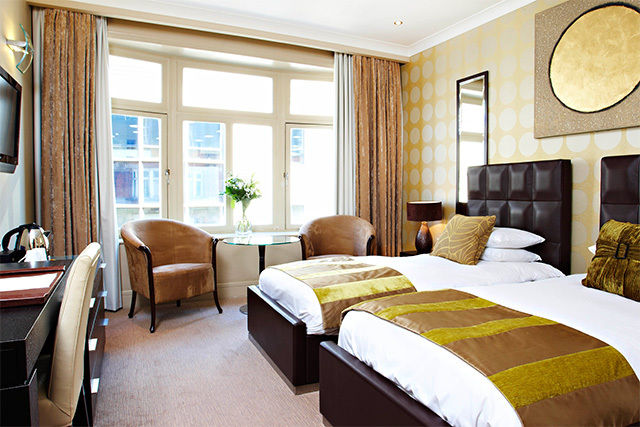 Larger again than the Superior Twins, the Deluxe Twins have twin beds and all the features of the other room types. 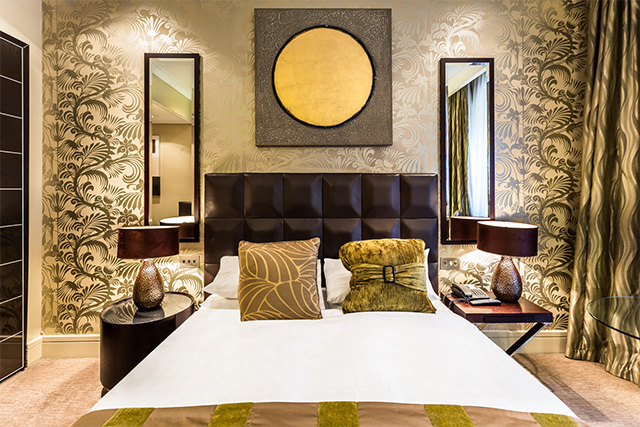 The style of these rooms varies from cool smart grey tones with traditional marble bathrooms to the warm earth colours of the other rooms with the same sleek modern porcelain tiled bathrooms.